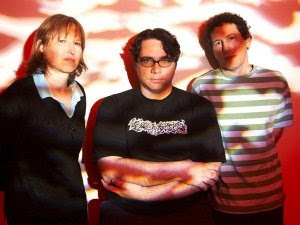 - Built to Spill, The Jesus Lizard, Yo La Tengo and Tortoise at Pitchfork Music Fest - The first day of Pitchfork Fest in Union Park features "Set Lists by Request," with each band's song list tailored based on fan requests. Saturday tickets to the fest are sold out, but at the time of publication there are still Friday tickets available. 5 p.m., $35. More info and tickets. - The Depreciation Guild at Hideout - Shoegazers from Brooklyn with a sound that references the hazy dream pop of bands such as Cocteau Twins and Lush as well as the fuzzed out aggression of My Bloody Valentne, all on an 8-bit electro base. Also with Coltrane Motion. 10 p.m., $8, 21 and over. More info and tickets. - Cymbals Eat Guitars, Sybris, Unicycle Loves You and Midstates & the Choir of Ghosts at Bottom Lounge - Official Pitchfork Fest after party. 8 p.m., $10, 21 and over. More info and tickets. - Plants and Animals at Schubas - This Canadian indie rock band released their debut album, Parc Avenue, last year. Also with Generationals and Stranger Waves. 7 p.m., $29. More info and tickets. - Blitzen Trapper at Empty Bottle - The experimental indie folk of this Portland, Oregon-based band has earned them widespread critical acclaim - their latest full-length, Furr, took the number 13 spot on Rolling Stone's "Best 50 Albums of 2008" list. Also with Loch Lomond. 9:30 p.m. $15, 21 and over.More info and tickets.